When the City of Dreams was unveiled in 2013 by co-owners James Packer and Lawrence Ho, the $1 billion luxury integrated resort was somewhat of a gamble even for a duo with as much experience in the gambling industry as them. Packer and Ho, after all, are the co-chairs of the reputable Melco Casino Group, which has opened casino resorts across the world with great success. The billionaires are aiming to create the next Macau in the Paranaque region of Manila – a region that’s already home to Resorts World and several other casinos. But so far, the financials released by the casino suggest that Packer and Ho have masterminded a successful resort with a varied appeal to many different markets. You see, what Packer and Ho have executed well is the City of Dreams’ appeal to families, gamers, foodies and sports fans. The establishment has a plethora of amazing restaurants for foodies and families. Restaurants such as Nobu, Crystal Dragon, The Café, and Red Ginger have all garnered positive press since the opening in 2013. It also houses a lot of luxury stores such as Rolex, Porsche Design, and Paul & Shark according to the Inquirer. 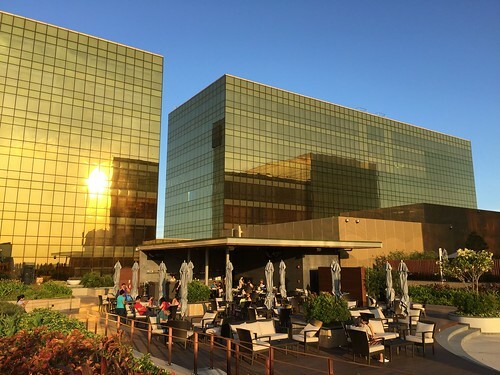 Upon City of Dreams’ opening, Rappler walked readers through the Nobu Hotel which is ideal for businessmen and women who fly into Manila’s Ninoy Aquino International Airport as it’s only a short distance from Manila’s flagship airport. Additionally, the City of the Dreams has partnered with a big poker operator to hold world-recognized events as its professional poker tournaments are located on the first floor of the main casino. They have also collaborated with Asia’s biggest MMA promotion, ONE Championship, to raise the profile of MMA in the country as well as elevated the City of Dreams brand, too. It doesn’t stop there, either. The City of the Dreams has a dedicated Disney area for children, a nightclub custom-built to welcome some of the biggest DJs in the world, and a theater to put on Vegas-style shows. Packer and Ho recognize the need to broaden the City of Dreams entertainment portfolio because online gaming is encroaching on land-based gaming profits year-on-year. With online provider Gala Bingo an example of this, as its operator, the Coral Group published record profits for 2015 – a trend that seems to be a common occurrence among the major players in the gaming industry across the world. As Macau also continues to struggle, it won’t be an easy journey for the City of Dreams amid tough competition in Manila as well as against their online counterparts. But with Packer and Ho at the helm, these seasoned gaming moguls will be looking to continue the establishments efforts to put on the best live entertainment in the whole of Manila as well as offering 18,000 square feet of gaming floor, top notch restaurants, and a 940-room hotel for residents.